As the leader of Altius, B sets the standards for excellence. She founded, co-owns and operates the ever-popular Bistro 19 in Mt. Lebanon. B has been in the food and beverage industry since the age of 16. She spent 13 years honing her service and training skills at Morton’s of Chicago, the steakhouse in Pittsburgh. After completing her B.A. in Communications and Rhetoric at the University of Pittsburgh (while working full-time and taking classes), the idea of Bistro 19 was born. It opened in November of 2006 to critical acclaim, winning numerous awards including: Best Service, Best Design, Best Continental, Top 25 Best Restaurants in Pittsburgh and Best American Restaurant three years in a row. Using these collective experiences B created Altius as a reflection of her vision for fine dining and of her passion for hospitality and service. As a Pittsburgh native, Jessica relocated to Michigan during high school where she began her restaurant experience. Her greatest joy was found in her family’s delight and support of her early cooking competency preparing her family meals. She found a sense of accomplishment and pride that she carries with her today. After graduating from Pennsylvania Culinary Isnstitute, Jessica was accepted to continue her culinary training at The Boca Raton Resort & Club. Most influential to her cooking style was working with Chef Gregory Waters at 27 Ocean Blue, a 4-star Mobil Travel Restaurant Review and 5-Diamond AAA Restaurant Guide. His use of international cooking styles and passion for upscale local ingredients allowed Jessica firsthand experience that transformed her professional culinary artistry. Upon her return to Pittsburgh, Jessica became a member of The Carlton Restaurant culinary staff. Her newly gained incisive knowledge allowed her to expediently climb to the top of the ranks as Sous Chef. Assisting Chef Mark Swomley with menu creation and wine pairing dinners proved an invaluable experience that she was able to utilize as Executive Chef of Bistro 19. Jessica strives to keep Bistro 19 as one of the top destinations in Pittsburgh’s restaurant market. She frequently travels to such cities as Chicago, New York and Philadelphia to inspire her menus. Guests do not encounter a pretentious menu at Bistro 19. They are instead treated to a modern and eclectic selection that delights all. Jessica cooks at events all over the city and as far as Cincinnati to show off her talent, and has also been featured in magazines like Whirl and Pittsburgh Magazine. At cooking classes around the city, she enjoys giving back to the community and teaching students how to prepare some delightful dishes for their own families. Born and raised in a suburb of western Pennsylvania, Michael grew up watching his Sicilian grandmother cooking for holiday feasts and every Sunday. The flavors and aromas of the kitchen would flourish into a career for him in the culinary field. He decided to attend International Culinary Academy where he graduated with honors. During school, he got a job working for Jacky Francois in the Omni William Penn Hotel where he would work his way up to sous chef. Honed his skills in planning and developing menus for extravagant weddings, parties, and holiday events. Chef Jacky taught him the importance of the quality of the ingredients and the level of expectation that the guest held. Michael travels to New York City and other large cities often to stay ahead of the current culinary trends. He is an avid home gardener and appreciates the importance of organic quality ingredients that he has learned from his Italian grandparents. Although Michael was trained in traditional French cuisine he also believes in a minimalist style of cooking. Born and raised in Washington, Pennsylvania, Selina got her start baking during the holidays with her family. Growing up in a Slovenian and Polish family, she learned traditional pastries such as apple strudel before branching out further in the pastry world! Selina then entered the baking and pastry program at The Culinary Institute of America in Hyde Park, New York where she honed her skills in petit gateaux, artisanal breads, wedding cakes, and truffles. After graduating in 2012, Selina started working at La Gourmandine in Pittsburgh, where she was promoted to lead pastry and pastry manager. In 2014, she pursued an opportunity to be the assistant pastry chef for Toppers at the Wauwinet, a 4-Diamond restaurant on Nantucket, Massachusetts. Selina then went to Deer Valley, Utah to experience the pastry line at the 5-Diamond Apex restaurant. After traveling and experiencing various chef techniques, Selina returned to Pittsburgh to accept the Executive Pastry Chef position at Altius. Here she uses a blend of French and American styles to provide the finishing touches on you dining experience. Every day she experiments with new truffles flavors, classic and artisanal breads, and dessert flavors that are sure to be an exciting delight! Mick graduated from Pennsylvania Culinary Institute with an Associate’s Degree in Specialized Technology. He was a part of the opening team at Morton’s of Chicago, the Steakhouse in Pittsburgh in 1993 as a pantry cook and was promoted from within to First Line Cook and Assistant Food and Beverage Manager. In 2000, Mick was brought on board at the Crowne Plaza Pittsburgh International Airport Property (a 193 room hotel) as a Restaurant and Lounge Manager and was promoted from within to the P.M. Operations Manager. In 2010 Mick accepted a position at Bistro 19 as a server and was quickly promoted to Shift Manager to assist the team in executing their high standards of service. Mick brings years of experience in all aspects of the food and beverage industry to Altius. Christine brings many years of experience in our industry to Altius. 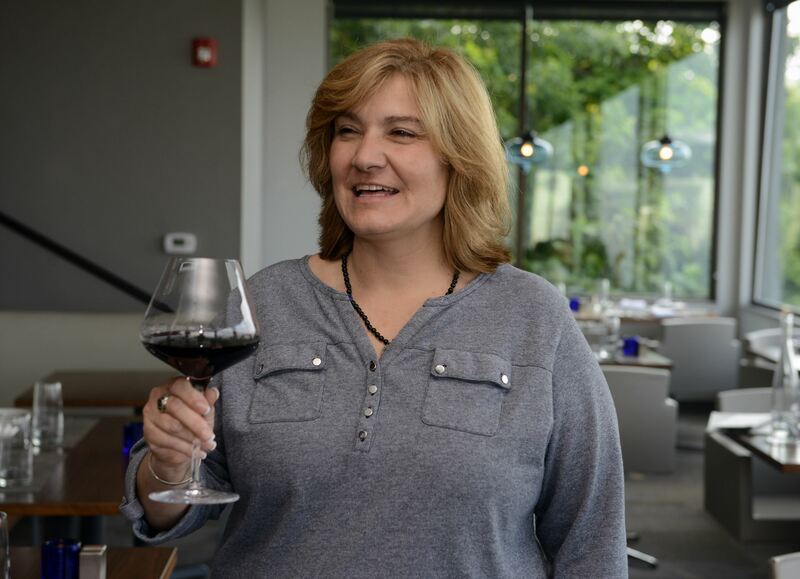 She has developed and managed several established restaurants in Pittsburgh including Bistro 19 in Mt. Lebanon. More recently she has broadened her work experience by holding a position as a Dining Services Manager at an upscale retirement community. Prior to that she worked as a Wedding/ Special Event planner for a private banquet facility, and as a Event Manager for a the township of Upper St. Clair Community and Recreation Center at Boyce Mayview Park. Christine is excited to be returning to the restaurant industry and for the opportunity to work again for B and Chef Jessica at Altius. When Rob met B as part of the opening team at Morton’s of Chicago, the steakhouse in Pittsburgh, he had already been in the restaurant business for a number of years. They quickly realized that they shared the same passion and values when it came to service and the guest experience. Two years later Rob was one of four people selected from across the country to open Morton’s on the west coast. Before returning to Pittsburgh in 1999, he worked as a concierge with American Express Platinum and at Absinthe in San Francisco. Once back in Pittsburgh he began work at The Pittsburgh Fish Market, a dynamic new concept in downtown dining. He quickly started training the service staff and was selected, along with Nick Floulis of Pushback Wines in Napa, to open and train the staff at the second location in San Diego: a prestigious distinction. 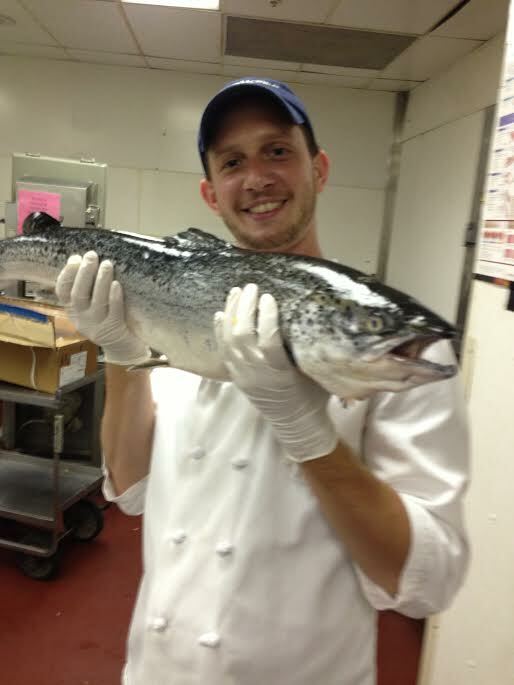 During his 14-year tenure at The Fish Market, Rob remained as an in-house trainer for all new service staff. He has also done work as a restaurant consultant and is a tennis teaching professional. Hillary came to Altius two years ago as a bartender after years as a high volume retail manager. She quickly caught the wine bug, and began to voraciously read about and taste wine. 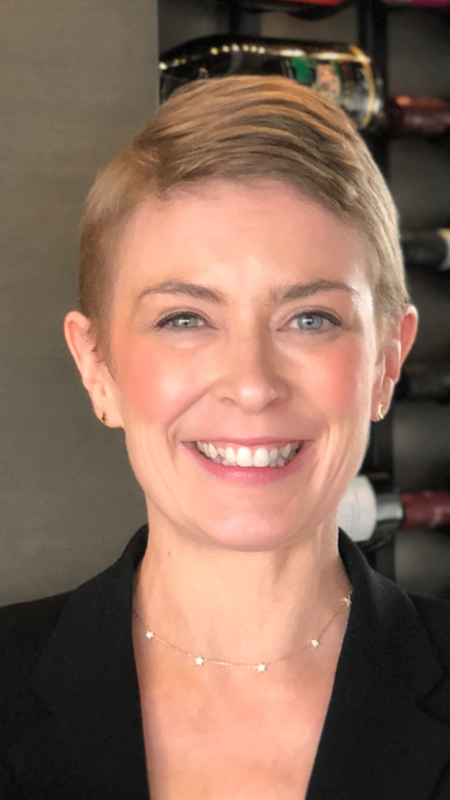 Her newfound passion morphed into a career, as she was promoted to Wine Director in 2018. Hillary passed WSET II with merits, and is currently studying WSET III. She plans to sit for the Court of Masters Sommeliers shortly after completing her current course. Hillary is ecstatic to marry her love of wine, education, and service in this position.